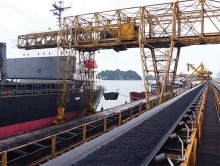 Masan Group Corp., has become the main sponsor of the 2019 V-League football tournament, the Vietnam Professional Football Company (VPF) announced on February 20. 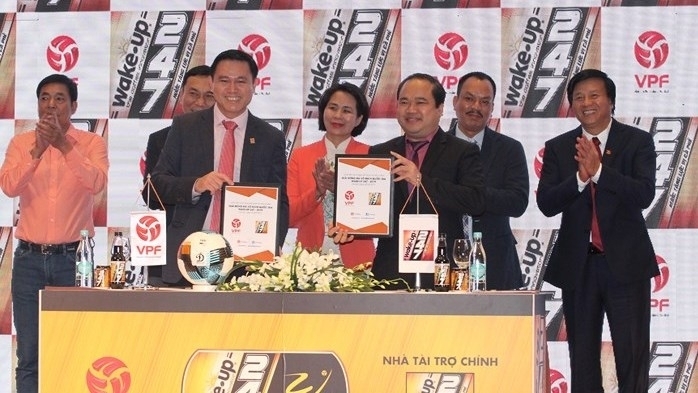 Under a five-year sponsorship deal, the tournament will be named the Wake-up 247 V-League. Wake-up 247 is Masan’s energy drink brand. 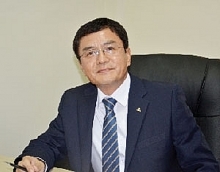 According to a contract between Masan and VPF, the sponsorship value for each year will be above VND30 billion (US$1.29 million), which was the sponsored funding figure for V-League 2018. 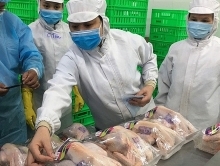 Truong Cong Thang, Chairman of Masan Consumer and CEO of Masan Consumer Corp., said the sum will increase season by season. The Wake-up 247 V-League 2019 is scheduled to run from February 21 through to October, with 14 football clubs competing in 182 matches via 26 rounds. This year, each club can register up to three foreign players in their team, which is one more compared to the last season, while the tournament will also start employing video assistant referee (VAR) technology.